“Now that it is in court domain, let her state the apology there. We will give our say there. We will also demand for a blasphemy law,” said Zubair Azmi, another complainant. Also in India, an administrative official, Chellakani Umashankar, who was previously ordered to stop Christian prayer conventions because they threatened the social order (among other things, his speeches and events have allegedly said that “Satan is taking to hell all those who watch men and women dance on television” and promoted “gay cure” beliefs) has been accused of “blasphemy” and faced protests outside the offices of the Chennai Collectorate. 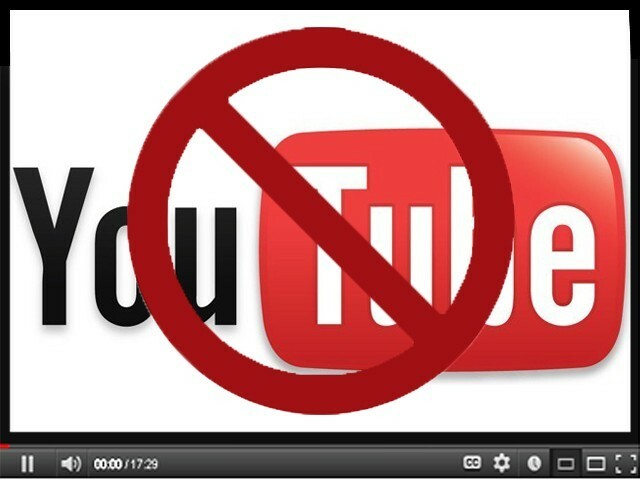 In Pakistan, Youtube is set to remain blocked because it can’t or won’t filter “blasphemous” content. On Friday, four Ahmadi Muslims — often persecuted in the Islamic world and denied the right to identify as Muslim — who had all been accused of “blasphemy”, did not show up in court in Lahore having been previously bailed. In their absence the judge initiated further proceedings against them. They had been accused publishing “blasphemous” literature through a business, Black Arrow Printing Press. The Mumtaz Qadri appeal case rumbled on, once again raising the question nationally “Is criticising blasphemy laws blasphemous’?. This question apparently formed a large part of the legal wrangling, as if – should it be found that Taseer was a “blasphemer”, this would justify his murder! This in fact formed the basis of absurd legal defense of Qadri, who admits and was convicted of murdering Salman Taseer, the state governor who had challenged the country’s insidious “blasphemy” laws. His lawyer argued that “115” people have been sentenced for blasphemy in the world over 14 years (certainly a low-ball figure, in fact! ), and that “even during the time of the Holy Prophet (pbuh) a person who committed blasphemy was immediately punished”; therefore this should mean Qadri should be let off assassinating a man he considered a blasphemer! In a seemingly positive sign, the reply has repeatedly come back asking how this would justify an extrajudicial killing, but the justice also nitpicked about whether, because Taseer was also accused of being an apostate (“murtad“), he should at least have been given three days to repent, rather than being killed on the spot by Qadri! “After hearing the arguments of both the sides, the IHC dual bench reserved the decision which would be announced later. During the hearing, Qadri’s counsel Mian Nazir Akhtar, a former judge of Lahore High Court (LHC), argued that Pakistan is a Muslim country and not a western or a secular state, adding that the Holy Quran is referred in order to resolve disputes between an individual and the state. At this juncture, Justice Siddiqui remarked whether terming a sacred law as a black law would come under the domain of blasphemy. It is unclear when the final verdict on the appeal will be handed down. 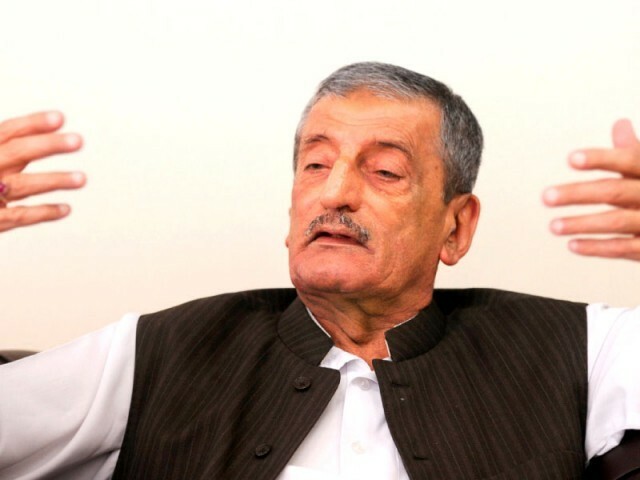 But the MP in question, Ghulam Ahmed Bilour, remains at large! Isn’t offering a large reward for murder a clear-cut case of incitement to violence? Meanwhile at Lahore High Court, an appeal has been filed in the case of Shafqat Masih and his wife Shagufta, two Christians who were both sentenced to death in April 2014 for supposedly sending “blasphemous” text messages to a local Muslim cleric. Shafqat, who is paralysed from the waist down, filed appeal on the basis of poor health. Even putting aside in-principle objections to the death penatly, to “blasphemy” laws, and to the inflated severity of text messages, there have always been serious doubts about the evidence, and the organization defending the couple notes contradictions in witness testimony, says that Shafqat was tortured to illicit a confession, and even disputes the central accusation, saying “There was no evidence that the text messages came from a phone owned by the couple.” While the couple remain on death row, their four children, all 12 and under, are being looked after by an NGO. The Associated Press has an overview on how many Christians to this day remain in a “slum” known as the Christian Colony on the edge of Islamabad, following the August 2012 “blasphemy” riots. On Sunday (after the Frontpage round-up was published) there was a new protest in the UK, in which “at least 1,000 British Muslims” made a similar (but peaceful) “pro-Prophet” protest. ““Today in the Middle East, we are witnessing the systematic purging of Christians, and this resolution is a call for action to stand shoulder to shoulder with them,” [Senator Rob] Portman said. The resolution itself describes several cases, in addition to the ones in Pakistan and Sudan, of Muslim regimes or groups persecuting religious minorities in Iran, Iraq, Indonesia and Nigeria. 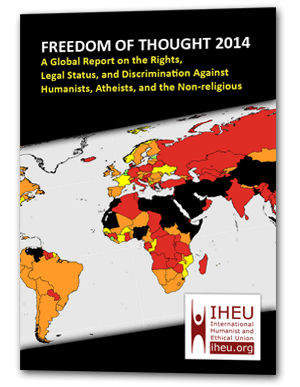 It also provides case studies in non-Muslim countries such as China, India and North Korea. A provincial government-backed committee in Pakistan has said it wants to “defend” those accused of blasphemy, who have been awaiting trial dates for some time. “Pakistan’s Punjab province government has shortlisted 50 persons – currently facing trial in courts under the controversial blasphemy law – to speedily decide their fate as it believes they have been ‘victimised’. The Punjab prosecution department in association with the home and police departments shortlisted 50 cases from 262 cases in different courts of the province since 2010. The suspects are languishing in jails and are not being convicted because of lack of evidence, poor evidence, and non-availability of their counsel, the Dawn reported. It may seem like a baby-step, but it could prove an important one, at least “a glimmer of hope”, and certainly momentous for any accused “blasphemers” it frees from entrapment in a bankrupt justice system! In Germany, the German Protestant Church’s top jurist has said that Germany should remove blasphemy from the penal code. “Blasphemy may by distasteful; but from a legal viewpoint, it is an exercise of fundamental rights,” [Hans Michael] Heinig said. And as we reported yesterday — and was covered in the media under the headline “Dawkins among atheists urging Irish PM to hold blasphemy law referendum” — one of our coalition partners Atheist Ireland had a hopefully productive meeting with the Irish government this week, raising the future abolition of the country’s “blasphemy” law as an important point of principle. They delivered to the Prime Minister a letter signed by numerous members of our International Coalition Against Blasphemy Laws stressing the international impact of the Irish ban.